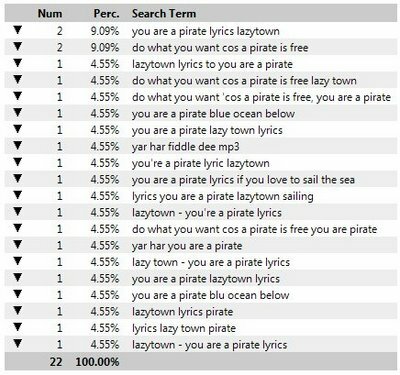 A few days back I mentioned that I was getting a fair amount of hits for the Lazytown "You Are A Pirate" lyrics. This picture shows the hits today. To those finding my blog for the first time through search engines, welcome :) Pull up a chair and let my postings... er, well, bore you to sleep more than likely!